Canadian Music Week revealed its full 2019 music programming this morning, and with that announcement comes the news that Foo Fighters frontman Dave Grohl will also be at the Toronto festival. 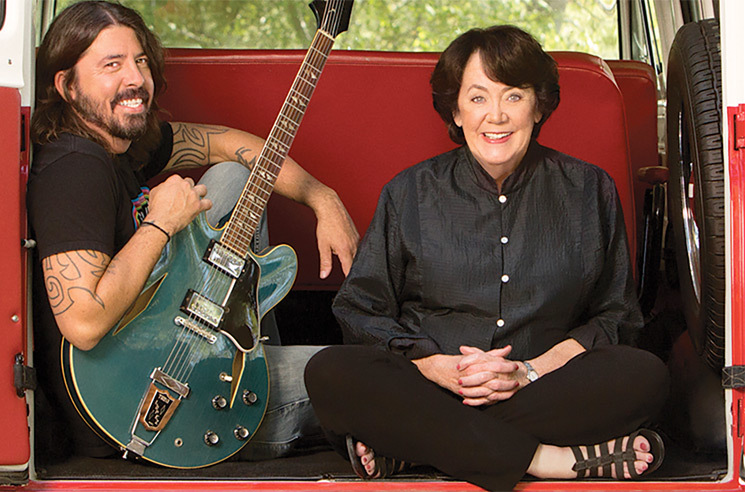 The Nirvana hero leads part of CMW's Keynote Speakers lineup, with Grohl heading to the Canadian Music Week Conference for a talk with his mother Virginia Hanlon Grohl. It promises to be an event "where they will talk about the inspiration behind her book From Cradle to Stage, her delightful meetings with music moms and what to do when your child is a talented, charismatic prodigy." The Grohl event takes place on May 10 at Toronto's Osgoode Ballroom East. After their talk, a Q&A will follow. Virginia Hanlon Grohl released her From Cradle to Stage book in 2016. In addition to highlighting her own experiences as a rock star mom, it featured conversations with other famous musicians' mothers, including the moms of Dr. Dre, Michael Stipe, Amy Winehouse, Beastie Boys' Mike D and more. In addition to the Grohl talk, the Canadian Music Week Conference will feature other keynote speakers throughout this portion of the festival, which runs from May 9 to 11. Other speakers include Linda Perry, Robbie Robertson, Tuma Basa and Justin Bieber collaborator Poo Bear. Meanwhile, the musical lineup includes the likes of Azealia Banks, Marshmello, Television, Born Ruffians, La Force, Hooded Fang, Petra Glynt, the Darcys Tokyo Police Club, the Dirty Nil, Tasha the Amazon, the Elwins, ...And You Will Know Us By the Trail of Dead, Zaki Ibrahim, Witch Prophet and more. You can learn more about the other events at the CMW website.